Sphagnum Peat Moss – 2 cu. 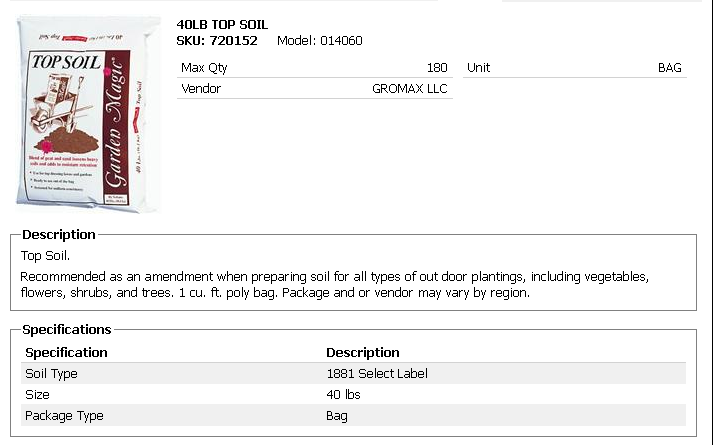 ft.
Red Cedar Bark Mulch – 2 cu. ft.
Black Shredded Mulch – 2 cu. ft.
Pea Pebbles – 1/2 cu. ft.
Red Volcanic Rock – 1/2 cu. ft. Brick Chips – 1/2 cu. ft.
Grass Seed – 3 lbs, 5 lbs. Composted Manure – 40 lbs.